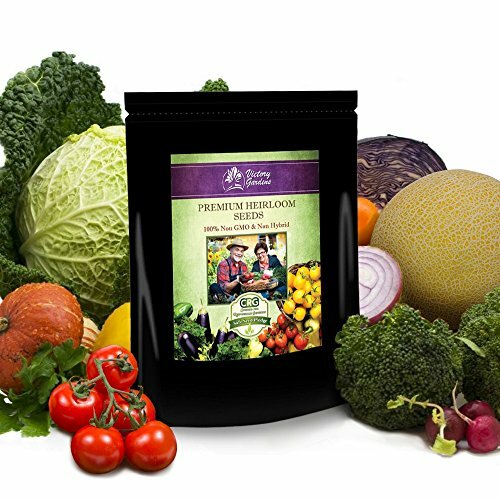 Heirloom Vegetable Seeds,75 Varieties, Non Hybrid, Non Gmo, Vegetable, Fruit, Culinary and Medicinal Herbs. Pollinated from the USA. Heirloom seeds can be planted, saved, and replanted year after year, for delicious vegetables for generations. Downloadable Description, Pictures, History and planting guides provided for each variety of vegetable seed on website,all can be printed. 100% Satisfaction Guarantee-Non GMO, Non Hybrid, Pollinated from the USA! If you have any questions about this product by VictoryGardens, contact us by completing and submitting the form below. If you are looking for a specif part number, please include it with your message.